Welcome Home! Your home is a warm, cozy, quiet residence situated along Shingle Mill- a privately owned pond. This cape is surrounded by complete serenity. How tranquil does it sound to sit on your porch in the morning and listen to the water flow? 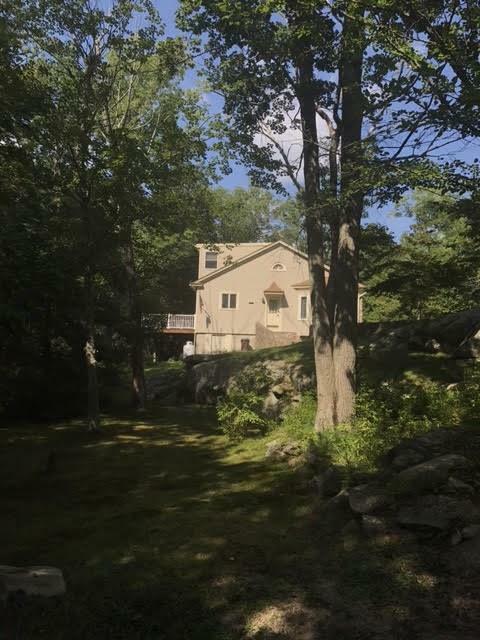 The pond is in your backyard, however the property has land offering impeccably designed masonry throughout. The 1st floor offers a spacious living/dining room area. The kitchen is warm and bright with a door leading to a large porch overlooking Shingle Mill Pond. A tiled full bathroom and office are also located on the 1st floor. The 2nd floor holds a comfortably sized master bedroom with a large double closet, in addition to the second full bath and bedroom. There is also an easily accessible storage room found on the second floor. The basement holds the washer/dryer. A MUST SEE! View the Video link!